Enjoy heavenly summer vacations in sheer comfort, in spacious studios with amazing sea views just 50 m from Tourlos Beach! At Avra Studios you will relax in one of the 19 traditionally-styled studios, all fully equipped and appointed to provide a spacious and comfortable environment. What is more, the studios verandas and balconies with unobstructed views to the sea are the perfect place to wind down, read your favourite book or have your coffee. 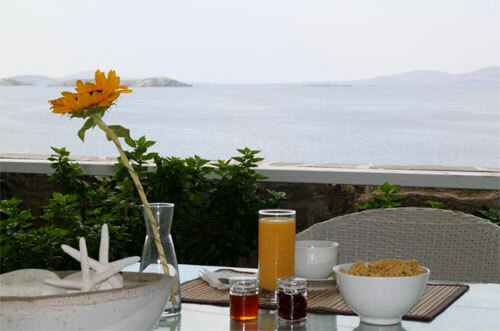 All of us at Avra Studios do our best to make your stay a wonderful experience in the relaxing and pleasant ambiance of the hotel, guaranteeing impeccable service by attentive staff, always delivered with a smile, as well as well-organized facilities and services, so that you can experience the holiday you are dreaming of in this wonderful hotel in Mykonos. Your pets are also welcome in Avra Studios. 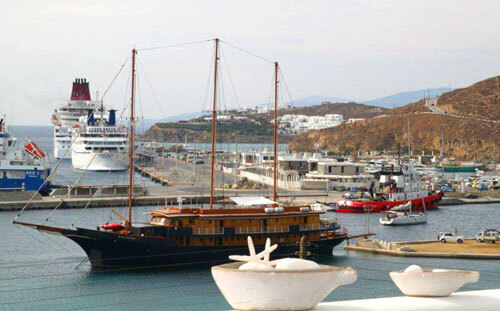 The traditional style hotel Avra studios lies in Tourlos Mykonos, conveniently located 1 km from the so-called new port of Mykonos, where large cruise ships, yachts as well as ferries anchor. The developed resort of Tourlos is just 1 km from Mykonos Town, is known more for its upscale hotels and lovely restaurants. Ιt is very well and frequently connected with the rest of the island and its great beaches. Thus, it allows you the opportunity to thoroughly experience Mykonos and discover it in all its glory, as it makes the perfect starting point to enjoy your vacations all over Mykonos. 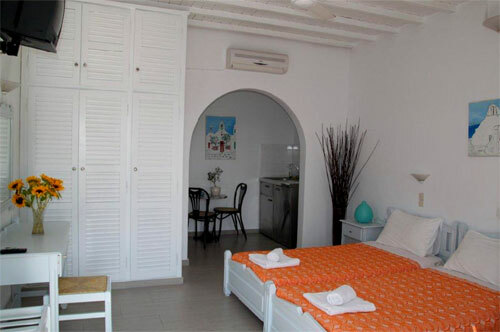 You could mention summer-greece.com to the accommodation you found through our website. It is important for us to become more effective in for our visitors with your help. We thank you in advance and we wish you the best time during your vacation.